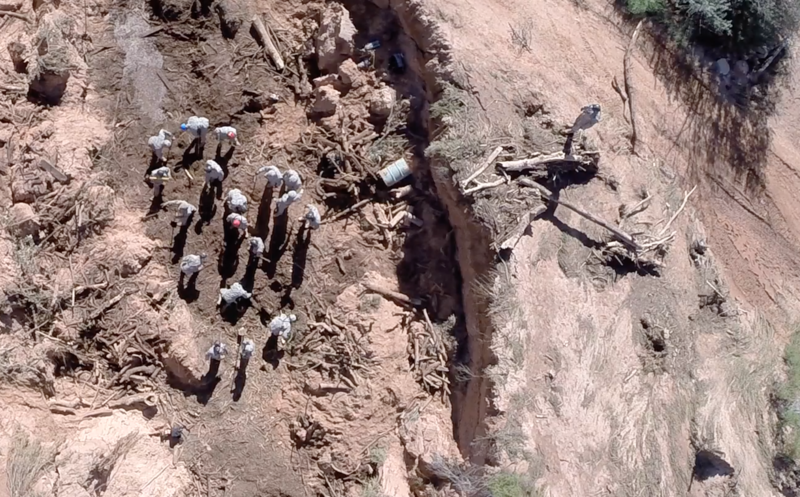 The Utah National Guard supports search efforts on Sept. 18, 2015, following the Hildale Flood four days earlier. A video showing the flood path is available here and a video paying tribute to searchers is here. 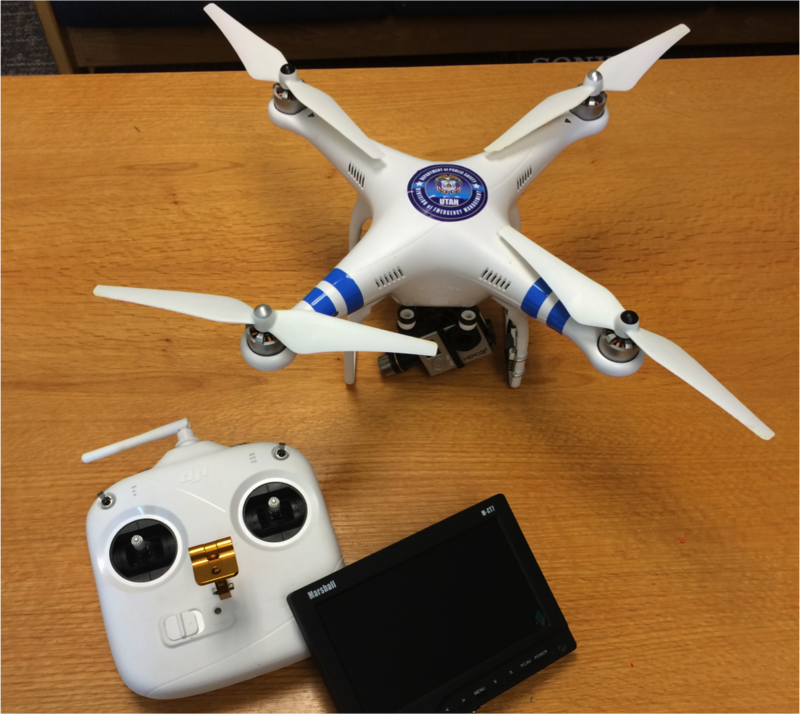 The Division of Emergency Management maintains a DJI Phantom 2 quadcopter with an attached GoPro Hero 3 for documenting emergencies, disasters and for creating informational, social media and marketing materials. Information about starting a UAV program for public agencies is below. We are required to report each use of our quadcopter, which we have yet to nickname, to UCJIS and on this website. These reports aren’t terribly exciting, but they demonstrate our increasing proficiency and great upcoming projects with this video-gathering platform. 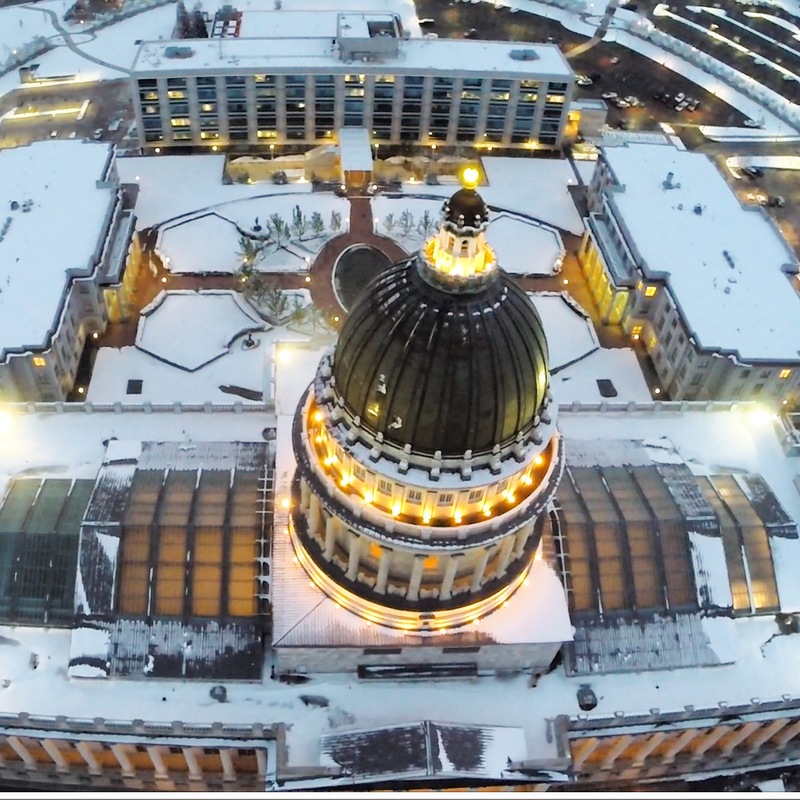 The snow-covered campus of the State Capitol, as seen from the air, hours before 1,000 state employees would evacuate during the 2015 Great Utah ShakeOut earthquake drill. Captured with our UAV. Public agencies are required to receive a Certificate of Authorization from the Federal Aviation Administration. It is a lengthy process, and the FAA is receiving scads of requests, but we can help you out. Please download/view the following documents to get started. We’ll add more as appropriate. This bill prohibits an individual from flying an unmanned aircraft within a specified distance of a wildland fire.